Google has spent $30 billion on infrastructure over the past three years, and they are aren’t done yet! 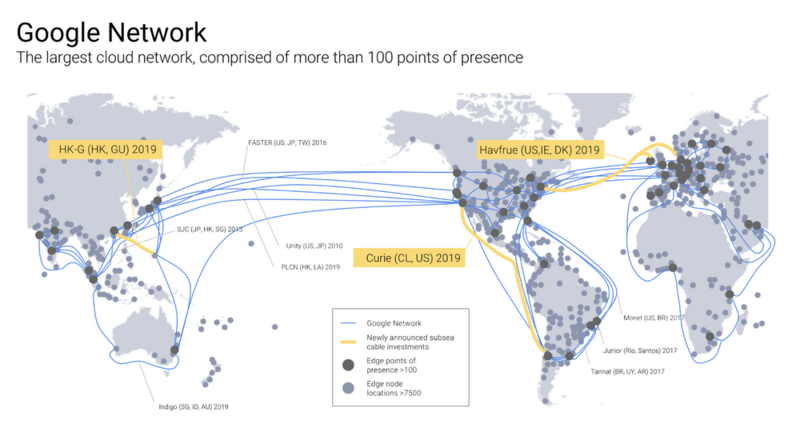 From data centers to subsea cables, Google is committed to connecting the world and serving their Cloud customers, and today they have announced three new submarine cables, and five new regions. Netherlands and Montreal (Yea!) 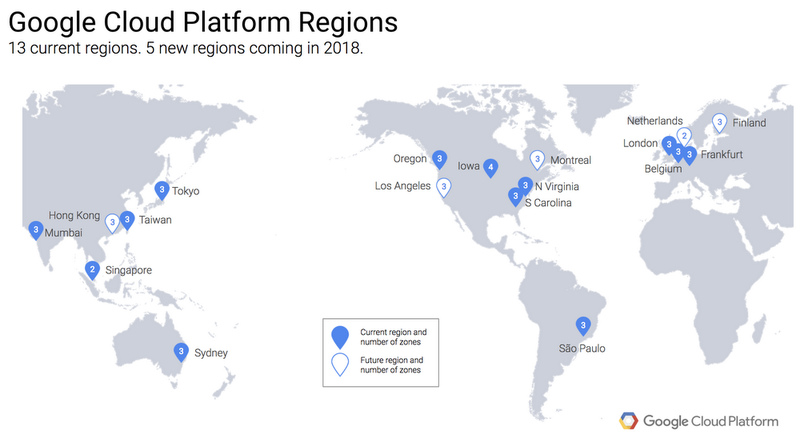 regions will open in the first quarter of 2018, followed by Los Angeles, Finland, and Hong Kong. Then, in 2019 they will commission three subsea cables: Curie, a private cable connecting Chile to Los Angeles; Havfrue, a consortium cable connecting the U.S. to Denmark and Ireland; and the Hong Kong-Guam Cable system (HK-G), a consortium cable interconnecting major subsea communication hubs in Asia. Together, these investments further improve their global network—the world’s largest—which by some accounts delivers 25% of worldwide internet traffic.